After multiple stories during Jon Pertwee’s tenure that failed to take full advantage of the Daleks and their iconic menace, writer Terry Nation wisely returns to basics with an exploration of the time and circumstances that give rise to the universe’s deadliest and most xenophobic denizens in the aptly-titled ‘Genesis of the Daleks,’ the story that also forever changes the course of future Dalek stories by introducing the Daleks’ nefarious creator, Davros. Indeed, Davros is truly the focal point of this story, the Daleks themselves not coming to the foreground until the final of the six episodes. A wheelchair-bound megalomaniac who still firmly believes in the survival of the fittest, his exacting standards of perfection that earn individuals the right to survive are a heightened form of the intrinsic racism and xenophobia of the Kaled race and, to an extent, all of Skaro’s factions in general. With the Thals and Kaleds caught in a perpetual war that seems to have been going on for centuries, even the mutated beings in the land between the two forces display rather extreme xenophobia as they threaten to kill Sarah simply for being a non-mutant. Ironically, for all of Davros’s decrees that racial purity must be maintained, the Daleks themselves are genetically-engineered mutations of the Kaleds. Using himself as a model of perfection, he simultaneously makes his creations less than him by removing their capacity for mercy while also dooming himself by ensuring that he can’t possibly live up to his standards by programming them to believe that Daleks are superior to all other beings with no exceptions. ‘Genesis of the Daleks’ also works fairly well as an anti-war story, one of the sentiments that buoyed Dalek tales from the very beginning. There’s something markedly unsettling about visualizing corpses being used to make the trenches look manned and about enemies being hanged to conserve the ammunition stores that are so nearly depleted, and these images certainly help to sell the desperate circumstances and how Davros’s insane ideologies could manifest as such even in secret. However, although it is intriguing to see the surrounding area filled with failed earlier experiments of Davros’s, these particular segments of the story ultimately serve more as padded filler than as a driving force forward. Despite the fascinating events on display regarding the Kaleds, Davros, and the Daleks, the story of the Doctor himself if the easily the most important. Firstly, the Time Lords again take him out of his own time to employ his services as an agent whom they can deny using, sending him to prevent the Daleks from ever being created in the first place. This paints the Time Lords in an entirely new light and hints at the menace that the Daleks will become, but it also allows the Fourth Doctor to showcase how different he is from the Third Doctor, refusing to simply abide by the Time Lords’ whims whereas his predecessor would more easily accept any task given to him. Putting the Doctor in the position to actually prevent the creation of the universe’s most notorious enemies is a fascinatingly complex one, and his refusal to do so because of the parallels that would draw with the Daleks themselves is a decision he instantly knows will haunt him for the remainder of his lives even as he tries to justify it to himself and his companions. Even if delaying the Daleks’ development by one thousand years seems like a bit of a disappointing compromise since the Doctor is fundamentally altering history anyway, the Doctor firmly stands by his moral code here, and it will be fascinating to see what ramifications that will have on this incarnation and future ones going forward. 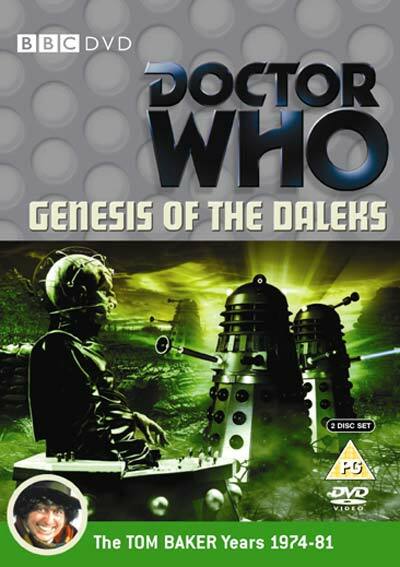 ‘Genesis of the Daleks’ works on many different levels and once more makes the Daleks an engaging threat while fleshing out their history immensely well, proving to be the strongest Tom Baker story yet in what has so far been a fairly strong start to the Fourth Doctor era.